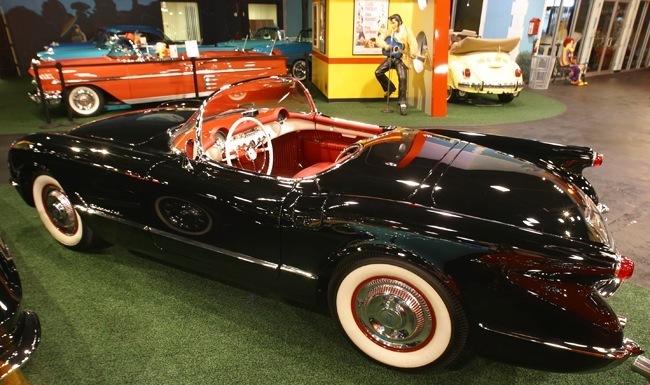 A total frame-off restoration. 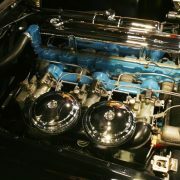 Powered by a 235CID/155HP blue flame 6 with a powerglide automatic transmission. 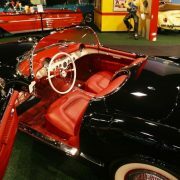 The options on this ’54 Roadster are signal seeking AM radio, parking brake alarm, courtesy lights and windshield washer. 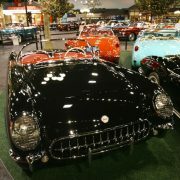 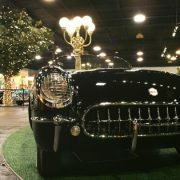 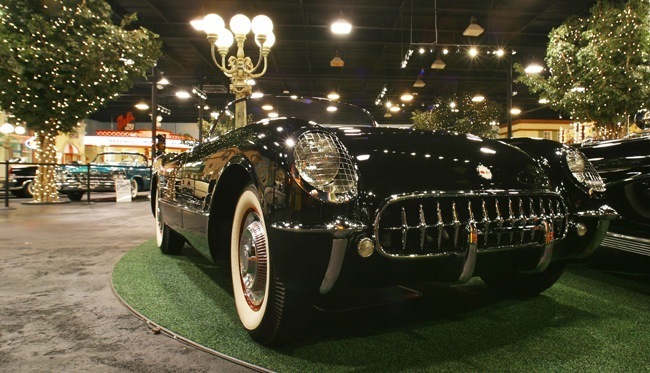 The corvette is spectacularly finished in mile deep black paint with new red interior. 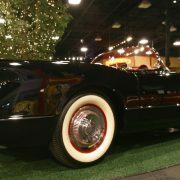 The undercarriage is as nice as the topside. 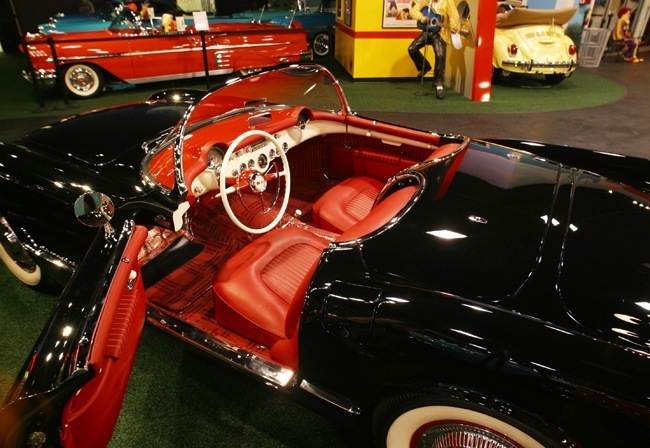 While the style of a car may be just as important to some as to how well the car runs, it was not until 1927, when General Motors hired designer Harley Earl, that automotive styling and design became important to American automobile manufacturers. 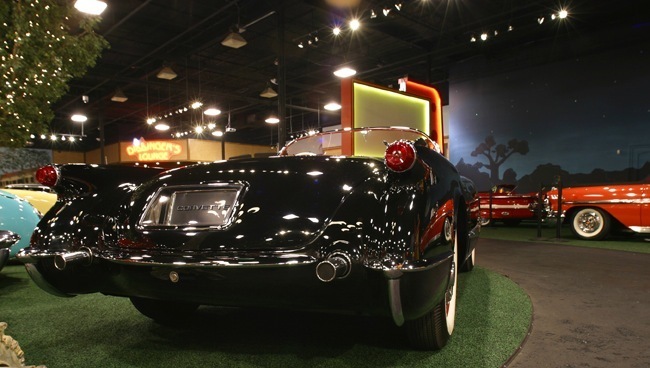 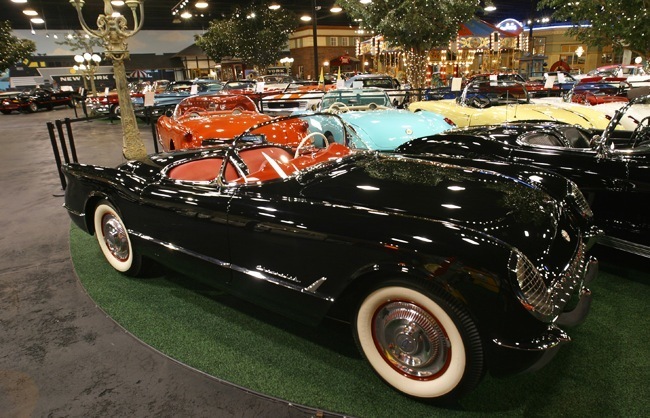 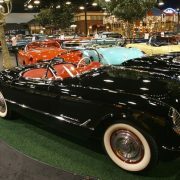 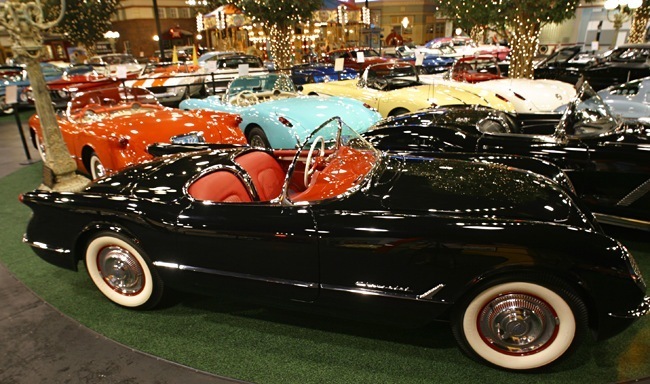 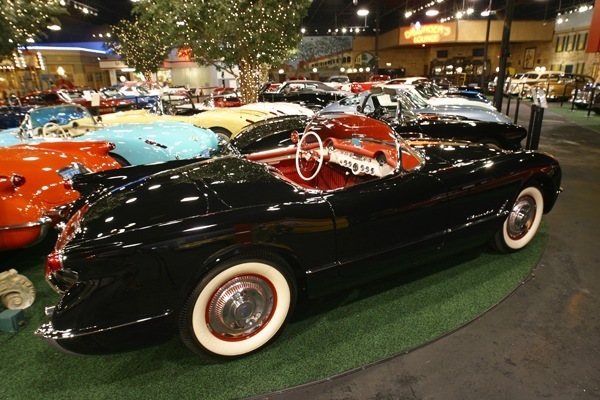 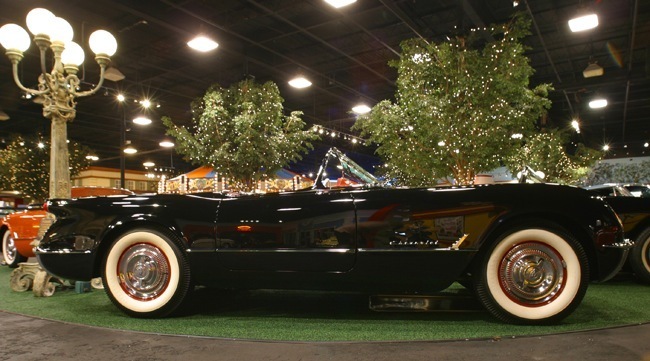 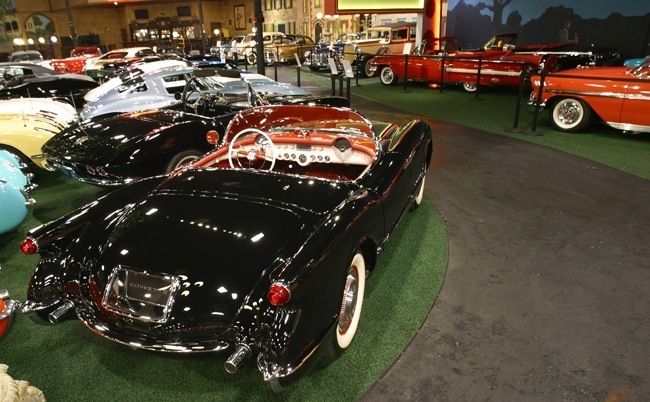 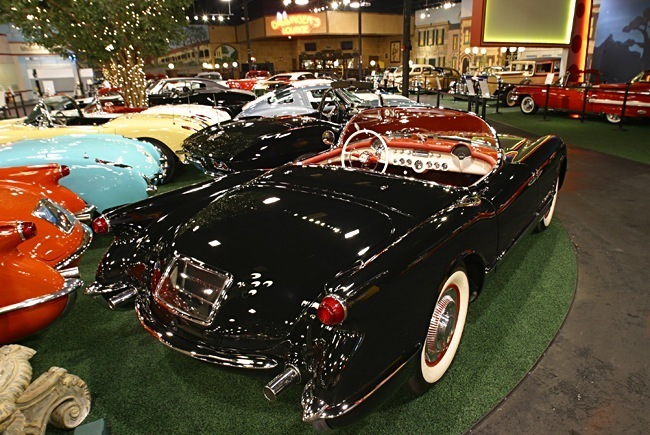 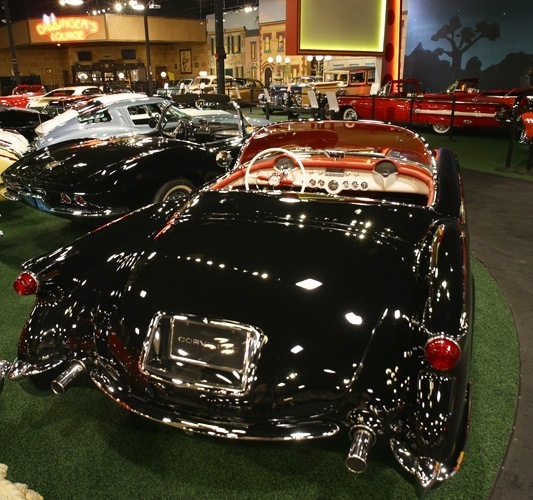 What Henry Ford did for automobile manufacturing principles, Harley Earl did for car design. 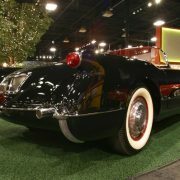 Most of GM’s flamboyant “dream car” designs of the 1950s are directly attributable to Earl, leading one journalist to comment that the designs were “the American psyche made visible.” Harley Earl loved sports cars, and GIs returning after serving overseas in the years following World War II were bringing home MGs, Jaguars, Alfa Romeos, and the like. 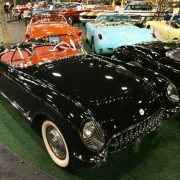 In 1951, Nash Motors began selling a two-seat sports car, the Nash-Healey, that was made in partnership with the Italian designer Pinin Farina and British auto engineer Donald Healey. 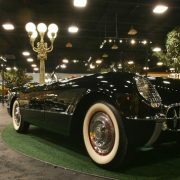 Earl convinced GM that they also needed to build a two-seat sports car. 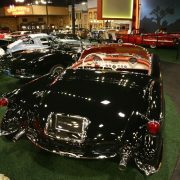 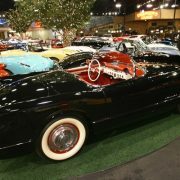 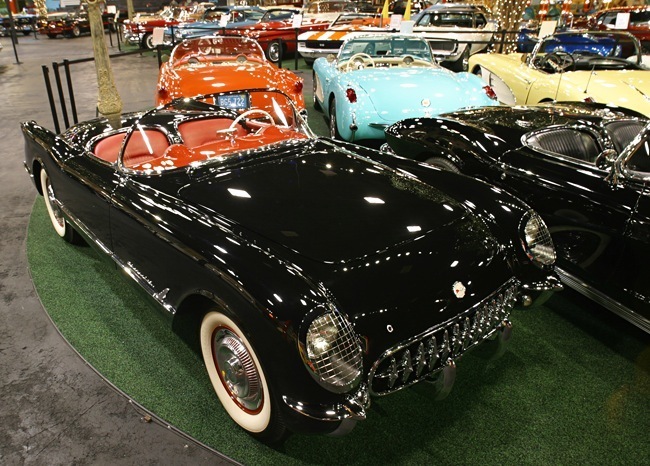 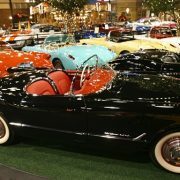 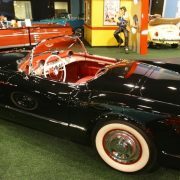 Earl and his Special Projects crew began working on the new car later that year, which was code named “Opel.” The result was the 1953 Corvette, unveiled to the public at that year’s Motorama car show. 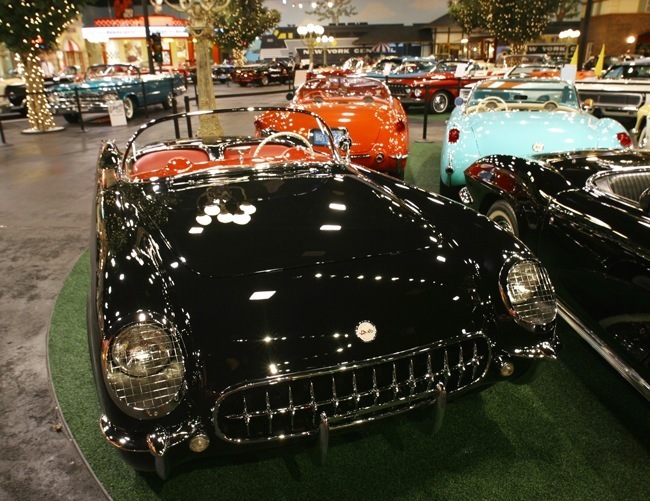 The original concept for the Corvette emblem incorporated an American flag into the design, but was changed well before production since associating the flag with a product was frowned upon. 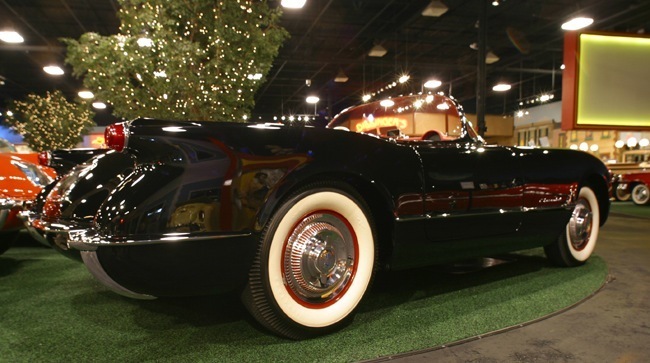 Taking its name from the corvette, a small, maneuverable fighting frigate (the credit for the naming goes to Myron Scott), the first Corvettes were virtually handbuilt in Flint, Michigan in Chevrolet’s Customer Delivery Center, now an academic building at Kettering University. 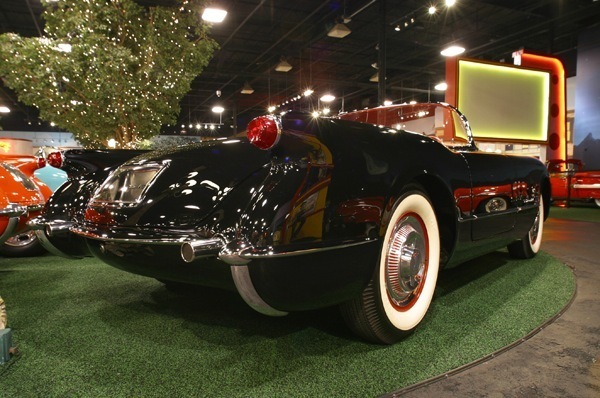 The outer body was made out of a revolutionary new composite material called fiberglass, selected in part because of steel quotas left over from the war. 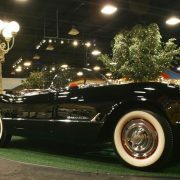 Underneath that radical new body were standard Chevrolet components, including the “Blue Flame” inline six-cylinder truck engine, two-speed Powerglide automatic transmission, and drum brakes from Chevrolet’s regular car line. 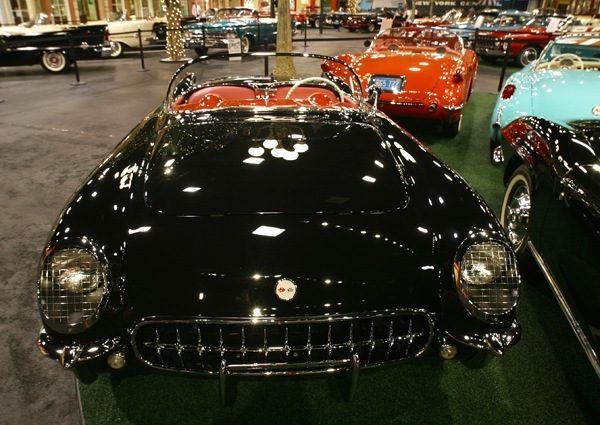 Though the engine’s output was increased somewhat, thanks to a triple-carburetor intake exclusive to the Corvette, performance of the car was decidedly lackluster. 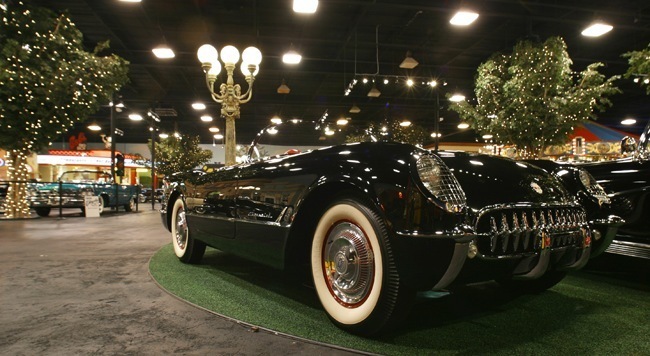 Compared to the British and Italian sports cars of the day, the Corvette was underpowered, required a great deal of effort as well as clear roadway to bring to a stop, and even lacked a “proper” manual transmission. 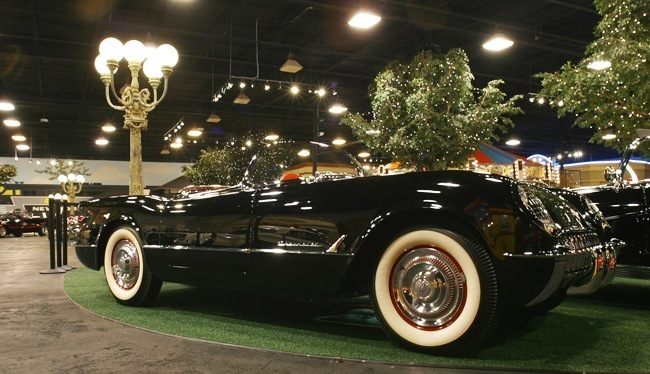 Up until that time, the Chevrolet division was GM’s entry-level marque, known for excellent but no-nonsense cars. 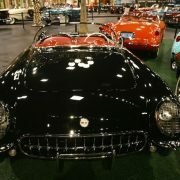 Nowhere was that more evident than in the Corvette. 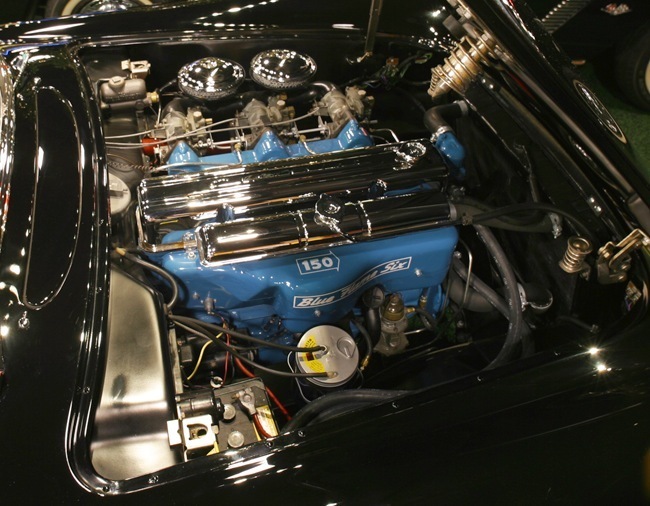 A Paxton supercharger became available in 1954 as a dealer-installed option, greatly improving the Corvette’s straight-line performance, but sales continued to decline. 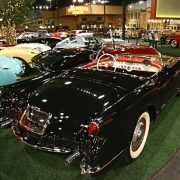 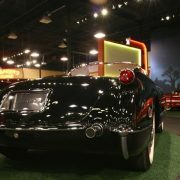 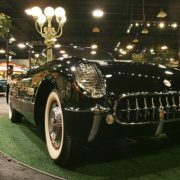 Another key factor in the Corvette’s survival was Ford’s introduction, in 1955, of the two-seat Thunderbird, which was billed as a “personal luxury car”, not a sports car. 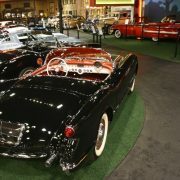 Even so, the Ford-Chevrolet rivalry in those days demanded that GM not appear to back down from the challenge. 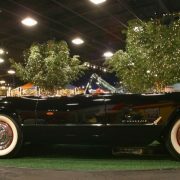 The “T-Bird” was changed to a four-seater in 1958. 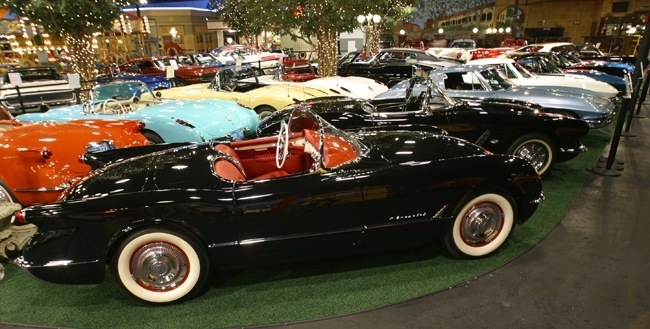 The first generation is most commonly referred to as a solid-axle, based on the fact that independent rear suspension (IRS) was not available until 1963. 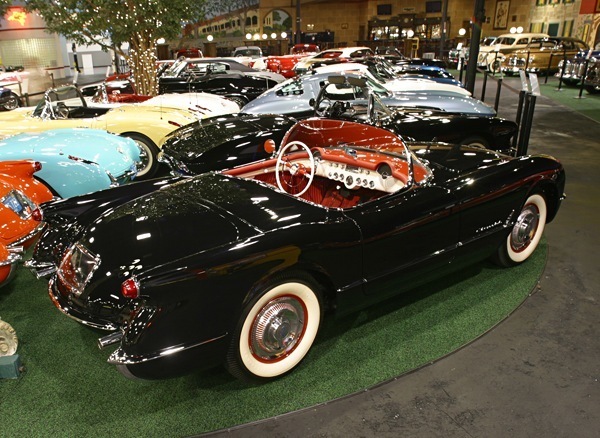 The first generation started in 1953 and ended in 1962, with the noteworthy addition of optional fuel injection in mid-1957 (also available on Chevrolet Bel Air). 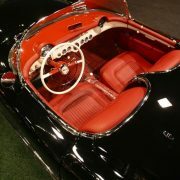 Fuel injection first saw regular use on a gasoline engine two years prior on the Mercedes-Benz 300SL “gullwing” roadster. 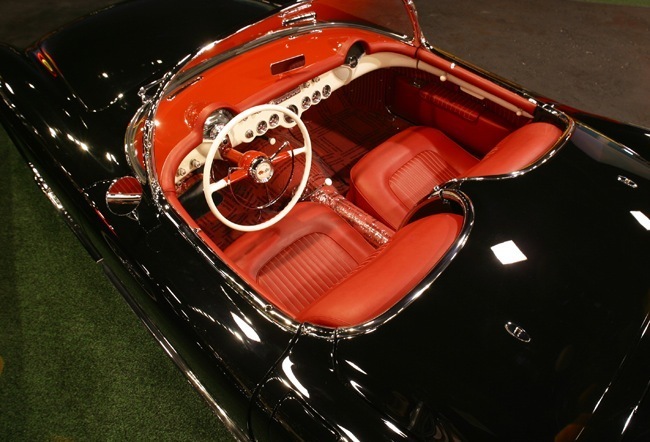 Although the Corvette’s GM-Rochester injection used a constant flow system as opposed to the diesel style nozzle metering system of the Mercedes’, it nevertheless produced about 290 hp (216 kW) (gross). 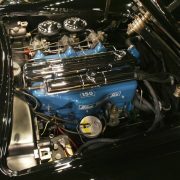 The number was listed by Chevrolet’s advertising agency for the 283 hp/283in (4.6L) “one hp per cubic inch” slogan, making it one of the first mass-produced engines in history to reach 1 hp/in. 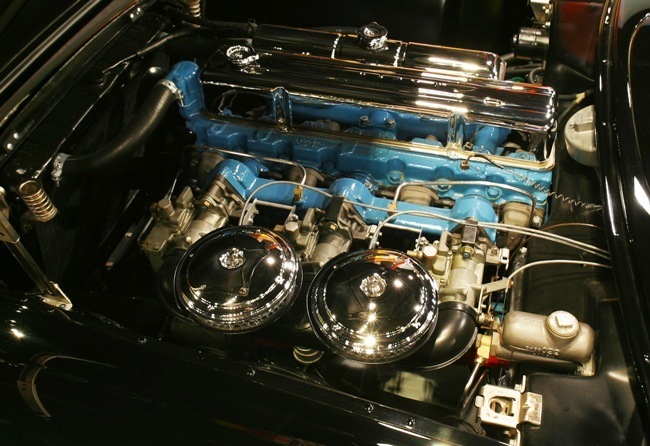 In 1962, the GM small block was enlarged to 327 cu in (5.4 L) and produced a maximum of 360 hp (268 kW). 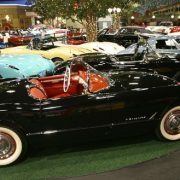 Other early options included power windows (1956), hydraulically operated power convertible top (1956), four speed manual transmission (late 1957), and heavy duty brakes and suspension (1957). 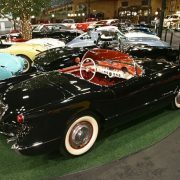 The car nearly died in 1955, but that year a V-8 replaced the six-cylinder used in 1953 and 1954.